Metrocentre is dedicated to providing men with the most advanced and precise vasectomy reversal treatments available in Australia, to a global audience with the Owen 3 Layer Micro-Surgical Vasectomy Reversal. This procedure is a highly viable option for men who have previously undergone a vasectomy and would now like to have a child. The Owen 3 Layer Micro-Surgical Vasectomy Reversal is one of the few options available for men who have previously undergone a vasectomy and are now seeking to have children, with IVF generally the only other option available. At Metrocentre, we currently perform around 20 – 25 vasectomy reversals each month, making us one of the largest clinics in Australia. Dr Chris Lekich uses the specialised Owen Three-Layer Closure Technique, which was pioneered and perfected by Professor Owen in 1971. This highly successful technique has been used in over 6000 microsurgical vasectomy reversal procedures. This technique is uniquely effective as it uses three layers of suture to re-join the two ends of the vas deferens tube. With a width of just two hairs, the vas tube bore (or lumen) that transports sperm must be aligned delicately and accurately to both allow the sperm to flow once more and minimise the risk of fibrosis or scarring. 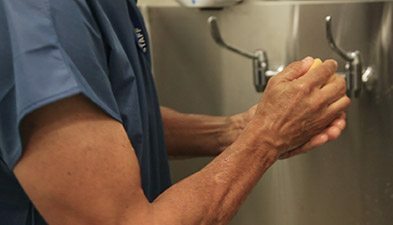 Metrocentre’s experienced team has successfully reversed vasectomies performed up to 34 years ago. 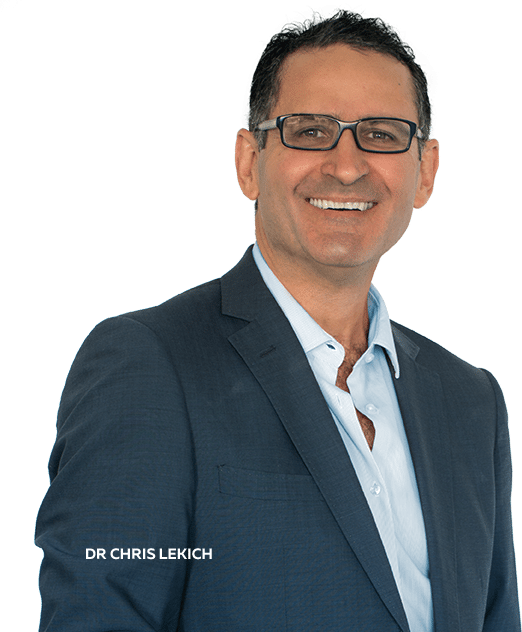 Dr Chris Lekich is an industry leader and one of the few doctors practicing with the specialised Owen Three-Layer Technique. His extensive experience, education, and skill achieve exceptional results for his patients. The technique allows patients of all ages the opportunity to receive long-term contraception in one simple procedure. No longer do they or their partners have to be concerned with contraception or the risk of pregnancy. Instead, they have the freedom to pursue their lifestyle choices and postpone the decision to have children until a more suitable time. Dr Lekich is the medical director of Metrocentre. He is a Queensland medical graduate with a 15-year microsurgical background working in the field of ophthalmology and retinal microsurgery, hence his love of microscopes. 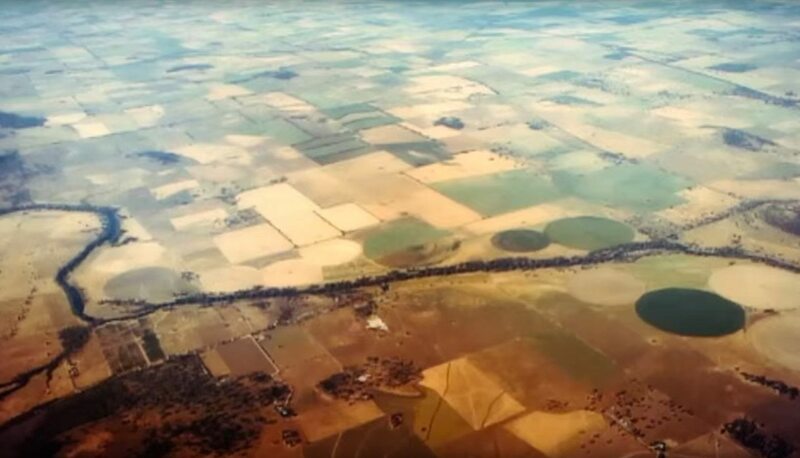 He changed his pursuits for eye surgery to the treatment of varicose veins using endovenous laser and ultrasound guided sclerotherapy (hence his love of ultrasound) training and becoming a fellow of the Australasian College of Phlebology. This came about due to the serious blood clot his wife developed in varicose veins during pregnancy. It was his wife’s necessity to get off the oral contraceptive pill due to her venous disorder that led him to a decision for a vasectomy and after much personal research to Professor Owen’s team to perform this as an Open Ended Vasectomy. Professor Owen referred Dr. Lekich to Dr. Bruce Errey (the pioneer of the Open Ended Vasectomy and 30,041vasectomy fame) to be trained to perform this specialised type of vasectomy so that his female patients with severe varicose veins could get off the pill and ensure that their partners were looked after with an excellent vasectomy . On retiring Dr Errey asked Dr Lekich to succeed him, and as a result, Dr Lekich was suddenly very busy performing vasectomies. Professor Owen then suggested that Dr Lekich try out for a position as his successor. After attending master class sessions with Professor Owen at the Microsearch Foundation, and it was determined that he had the attributes to perform the most exacting microsurgery, Professor Owen undertook a personal full-time three (3) training of Dr Lekich at the microscope. This involved over 200 hundred sites performing the Owen 3 Layer Microsurgical Vasectomy Reversal pioneered and perfected over 40 years. This also involved the management of Post Vasectomy Pain Syndrome and the most exacting microsurgical procedure known to man, the Bypass Epididymovasostomy (EV) as per Professor Owen’s account only mastered by few in the world. He retired his vasectomy reversal practice of 6000 cases to Dr Lekich when he felt that it was like looking at his own fingers down the microscope. In 2010, Harry Mathers visited Metrocentre searching for a successful fertility option. He underwent a vasectomy 25 years ago but now wanted to have children with his new wife. Nine years before visiting Metrocentre Harry had a vasectomy reversal which failed, and then 4 years before arriving at Metrocentre he had another reversal with a prominent US surgeon—unfortunately, this also failed. Harry and his wife’s next port of call was IVF—3 attempts later and they were still childless. Then, on a trip to Australia, Harry’s wife discovered Metrocentre and encouraged her husband to attend. Dr Lekich was Harry’s 3rd vasectomy reversal attempt. Dr Chris Lekich performed an ultrasound on Harry to see if it was possible to perform a successful vasectomy reversal. This information allowed Dr Lekich to map, plan and assess exactly what he needed to do to provide Harry with a successful vasectomy reversal. 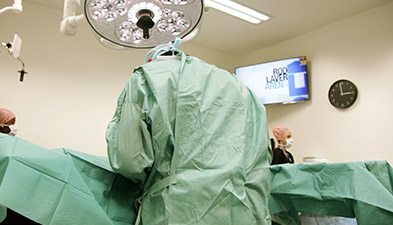 Dr Lekich uses microsurgery to perform vasectomy reversals allowing him to make small incisions which minimises the pain and maximises the chance of success. The vasectomy reversal was a success. Within 6-9 months Harry’s sperm count started to rise and rose steadily. The result? Harry and his wife now have a son and another child on the way.